Brendan Sodikoff may officially be my hero. At 34-years-old, he has managed to develop a slew of some of the most popular restaurants in Chicago, which I can confidently say all have the same vibe. They are all dark. They all have rehabbed vintage furniture. They all have hip crafted cocktails and some sort of liver or marrow on the menu. Clearly, he is an entrepreneurial trendsetter and I am in awe of him. Three days ago I turned 31. That is three years younger than Sodikoff. You probably figured that out on your own if you excel at subtraction. I have my own classroom with an unlimited supply of smelly markers (lemon is my favorite) and I tie an average of 45 shoes a day. I guess you could say Sodikoff and I are equally successful in our careers. My oldest brother and I are very similar, not only in regard to our desert dry senses of humor, but also in our opinions of restaurants. Even though I heard and read some negative reviews about Sodikoff’s latest restaurant, Dillman’s, my brother declared it a restaurant made specifically for him; thus, made specifically for me as well. 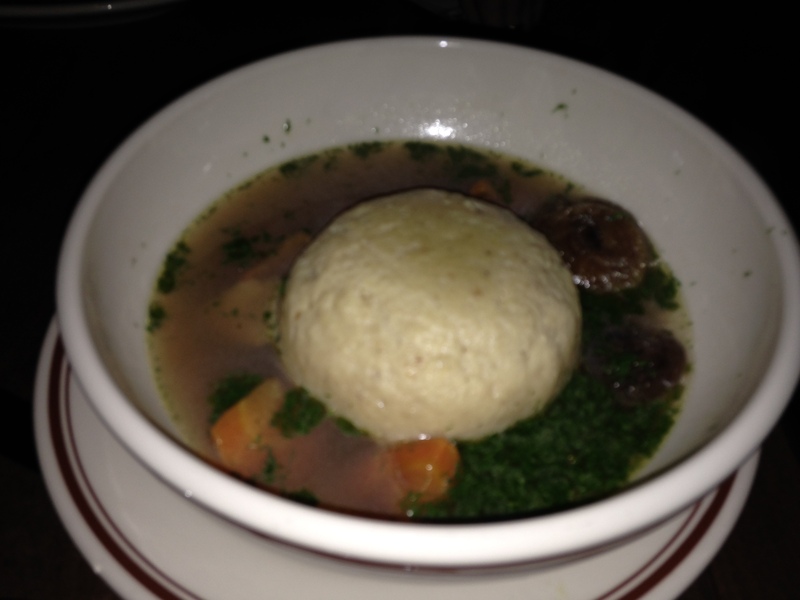 Dillman’s is part Jewish delicatessen, part speak-easy and part European brasserie. For lack of better wording, it is just so freaking cool. 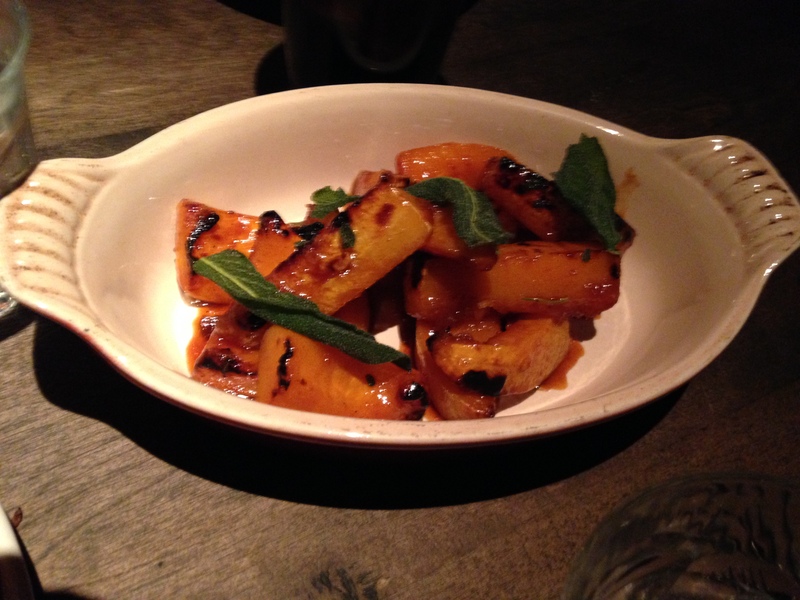 In a previous blog, I noted that I am a bit choosy about my dinner dates, as I am adamant about sharing, particularly at a new place. Luckily, these two friends were game for sharing and since they had both already been there, it was that much better. 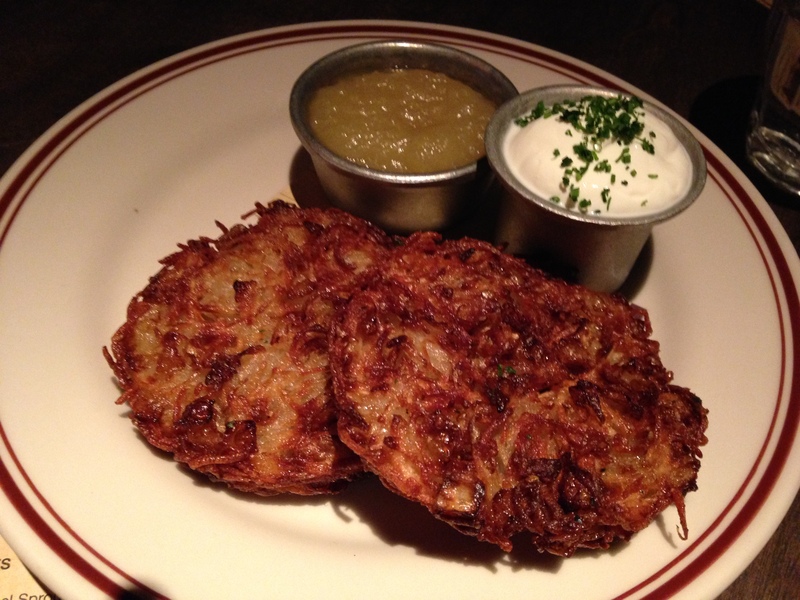 I don’t even like potato latkes, but these were exceptional and demolished within 30 seconds. 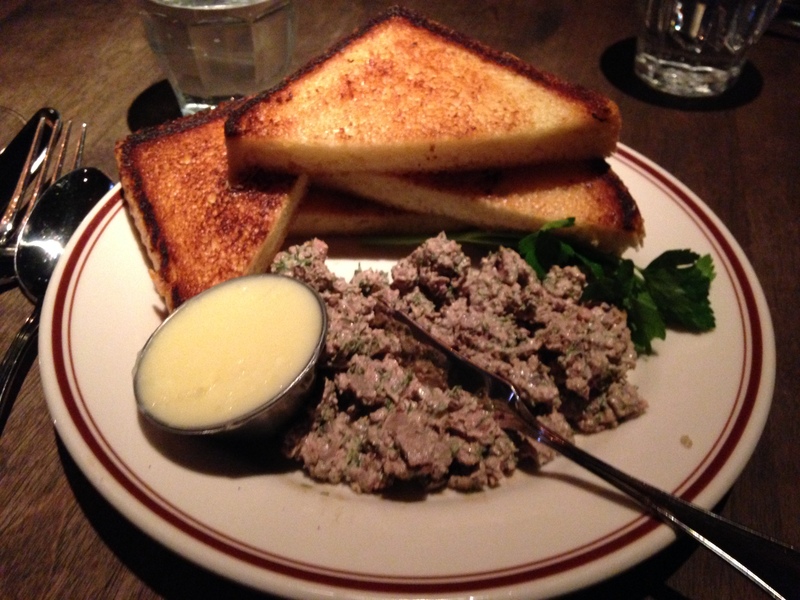 The best chopped liver I have ever had. 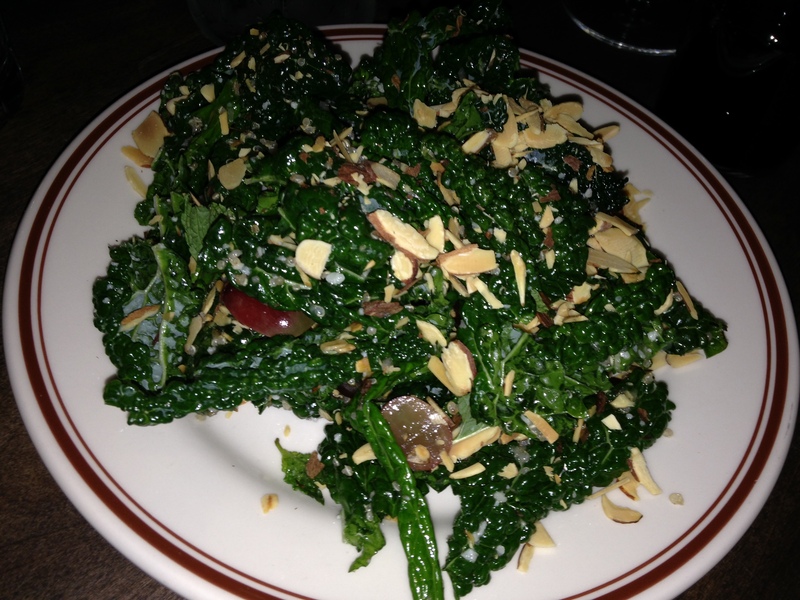 My second favorite is at Gilt Bar. 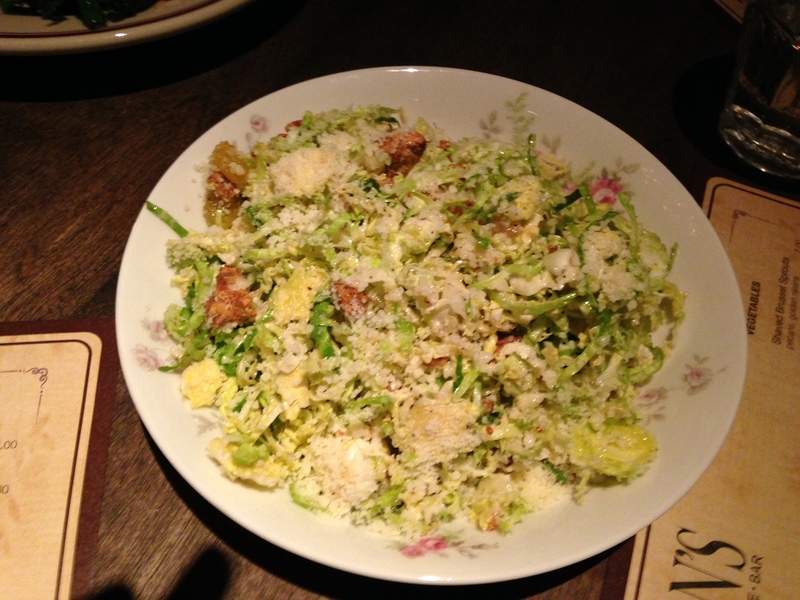 Cauliflower gratin with parmesan and bread crumbs. 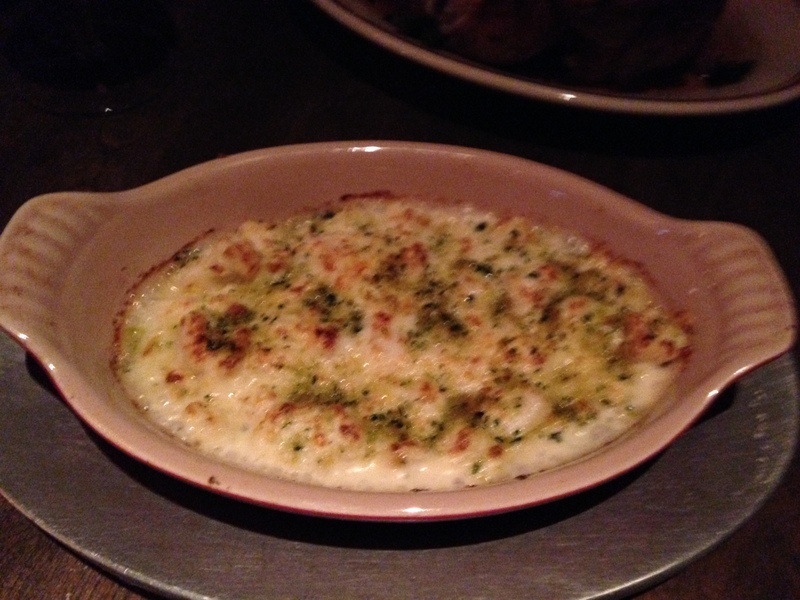 Have you ever had a bad gratin? Me either. 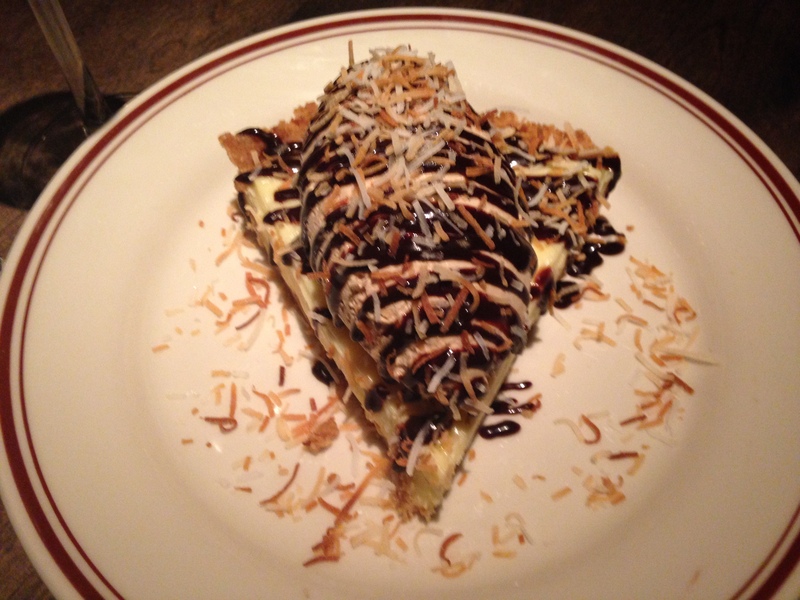 Toasted mocha coconut pie. No words. As you might have predicted, I will definitely be going back to Dillman’s. I just moved to the neighborhood (score! ), so it is safe to say I will be bringing visitors, friends and neighbors alike to this happy place.